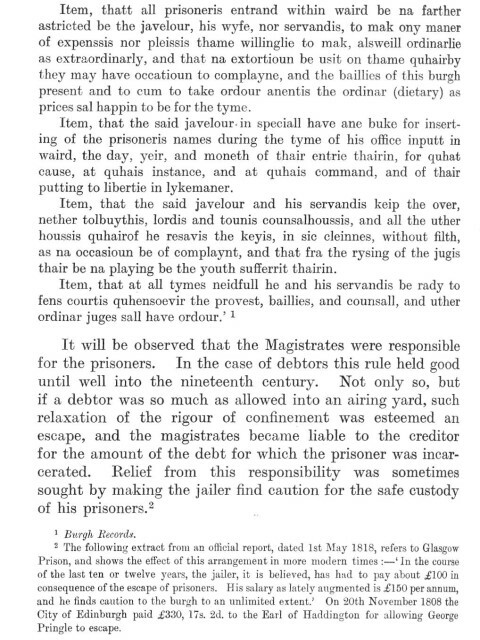 Prisons Act 19 December 1597. 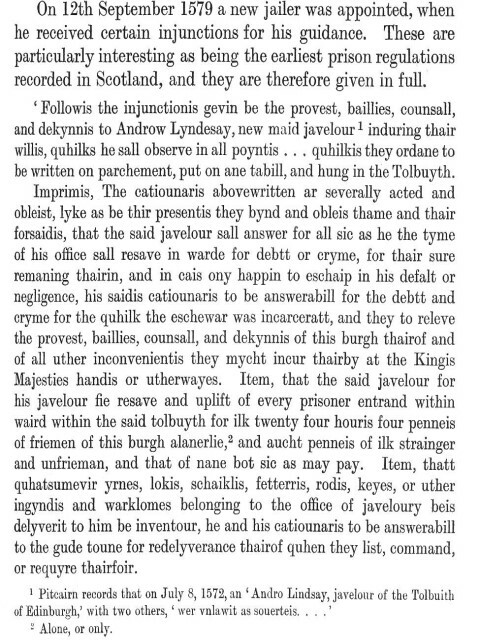 The forerunner of the Town Guard and the High Constables of Edinburgh, followed from an order of the Privy Council. 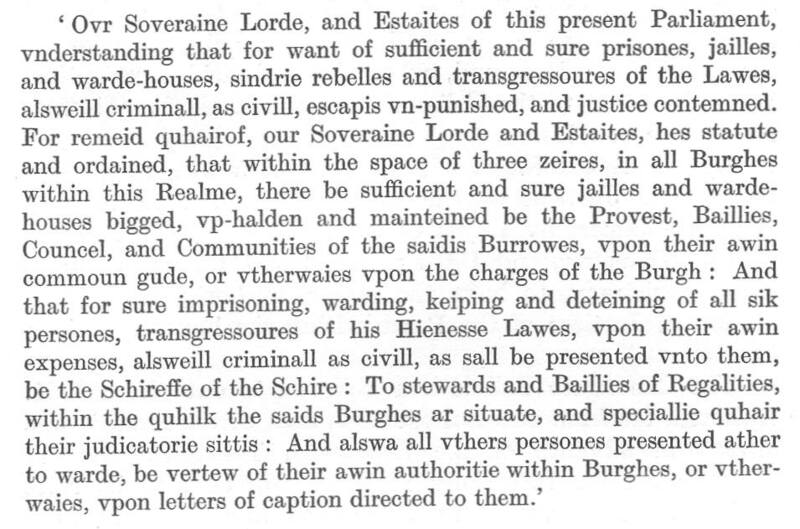 On 6 September 1611, the Town Council appointed twelve officers and twenty six men to be constables in charge of districts with powers to apprehend wrongdoers. In time the local ordinances and bye laws extended very considerable powers to them.